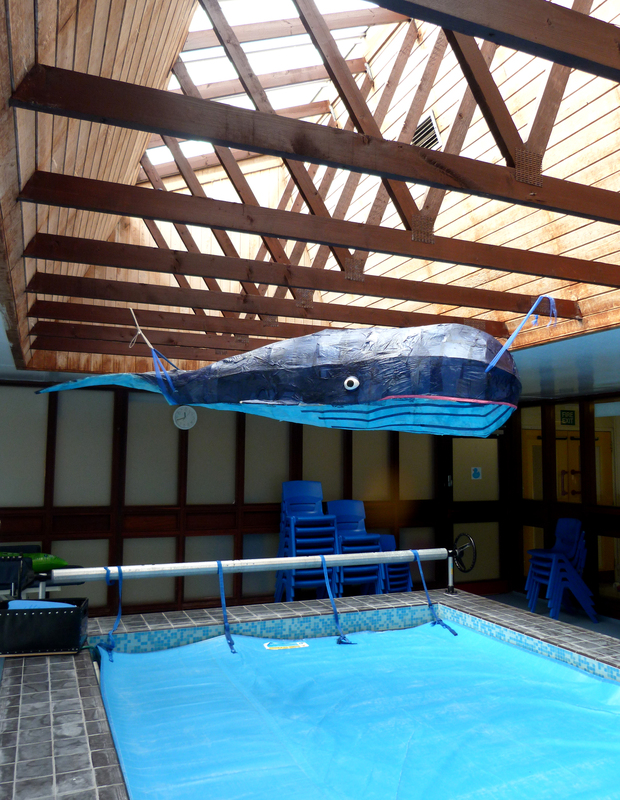 Campsie View is a school for children with a range of additional support needs. 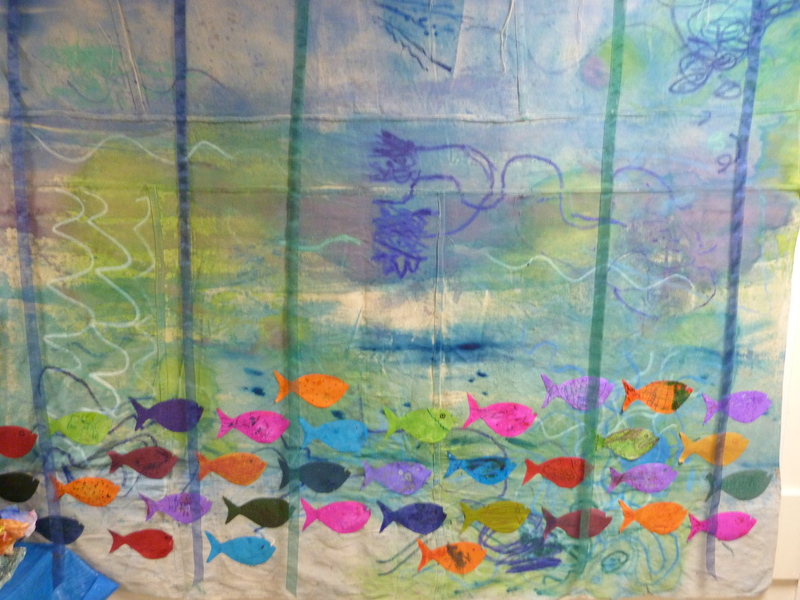 I have been working with this school for a year to develop the childrens engagement with visual art. 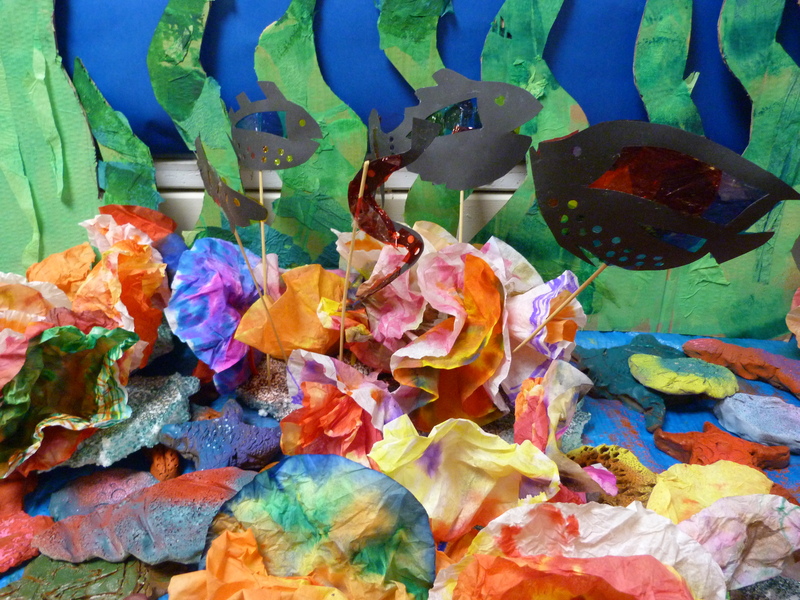 This term with have focussed on the “Under the sea”. We have been hugely productive. We started by exploring light as that was something the children from the last block really enjoyed. 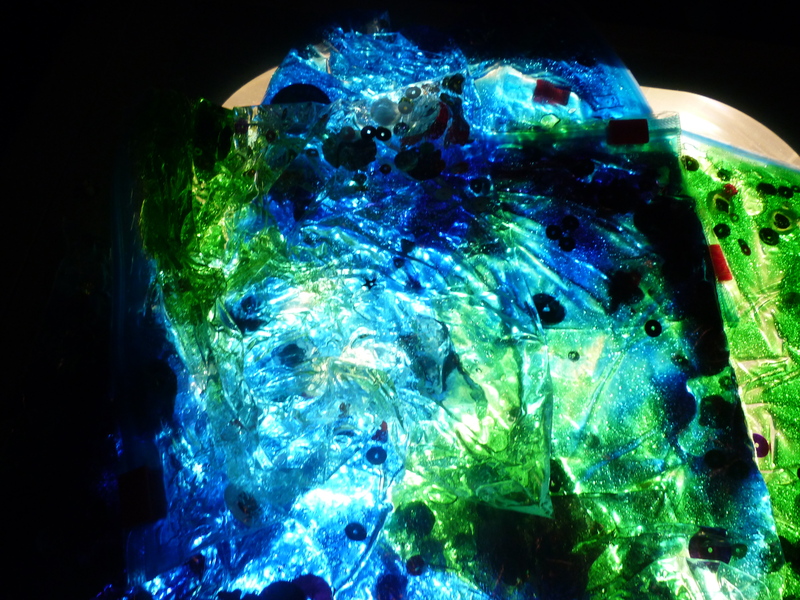 We use hair gel and food colouring to create these ocean bags. 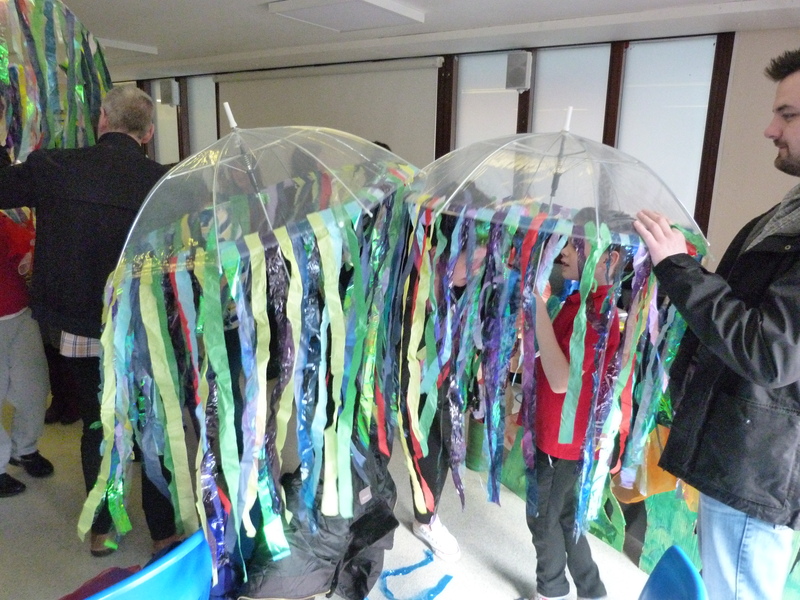 They were very sensory, the children enjoy how they looked and felt. We then expanded on this light work by making shadow puppets. 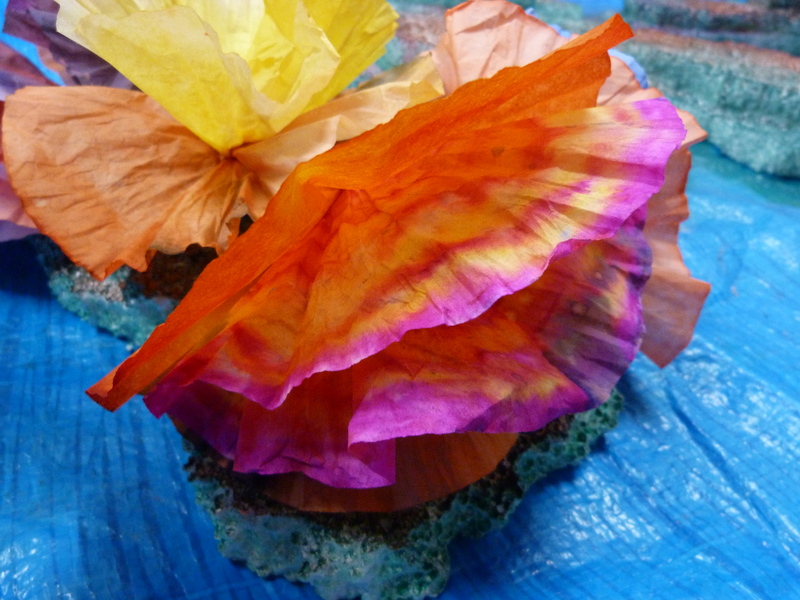 We created a coral reef using coffee filters. 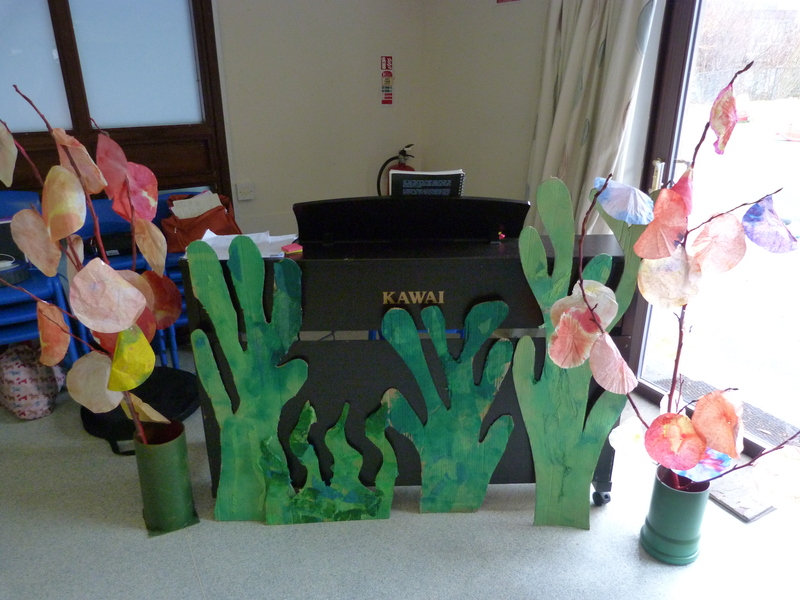 The children have also been working with a dancer, a musician and a singer. We were working towards a showcase so we make a backdrop and some costume elements. 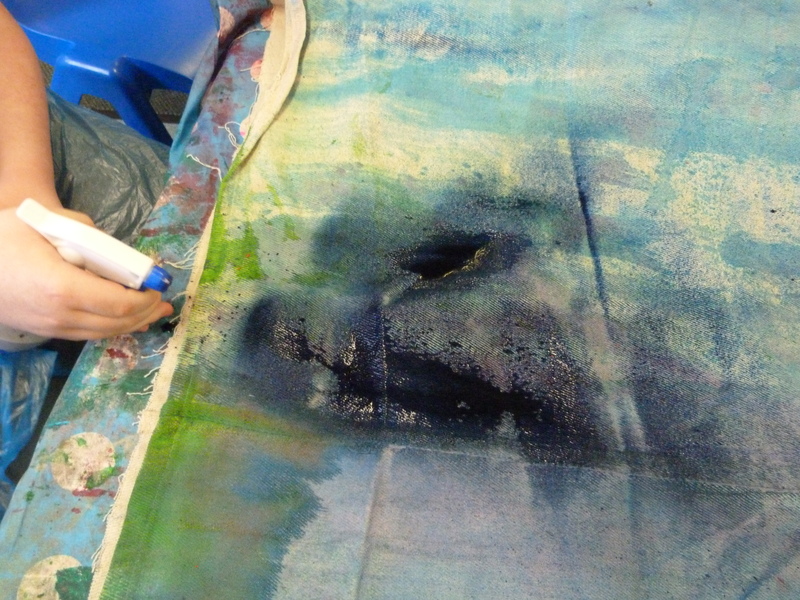 We also continued to work or exhibition of work. Campsie View is a school for children with a range of additional support needs. I worked with the senior pupils to explore city life. 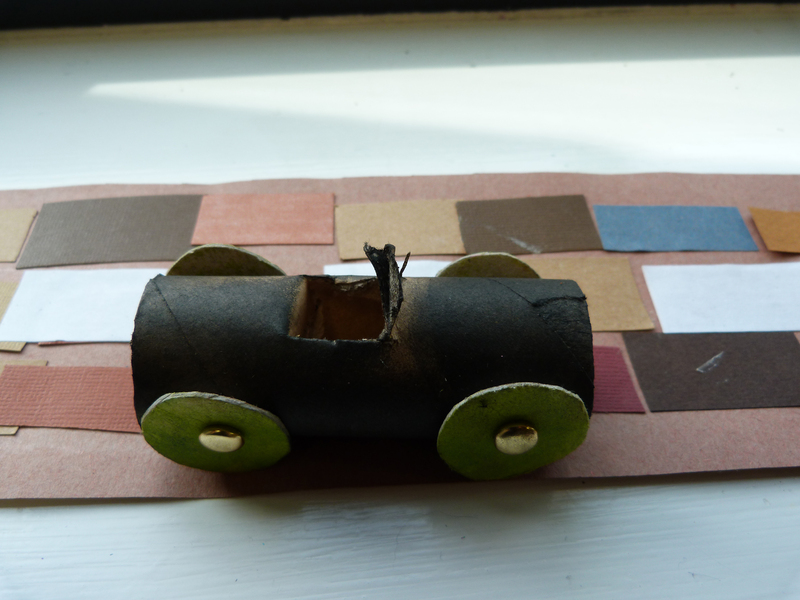 The children were interested in vehicles, cars and planes. 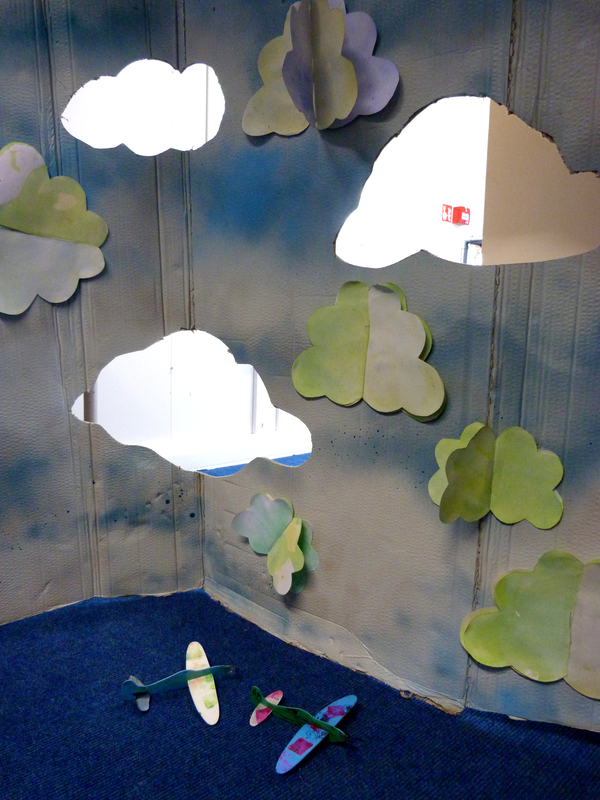 We create a set which included 3d clouds and decorated some aeroplanes. 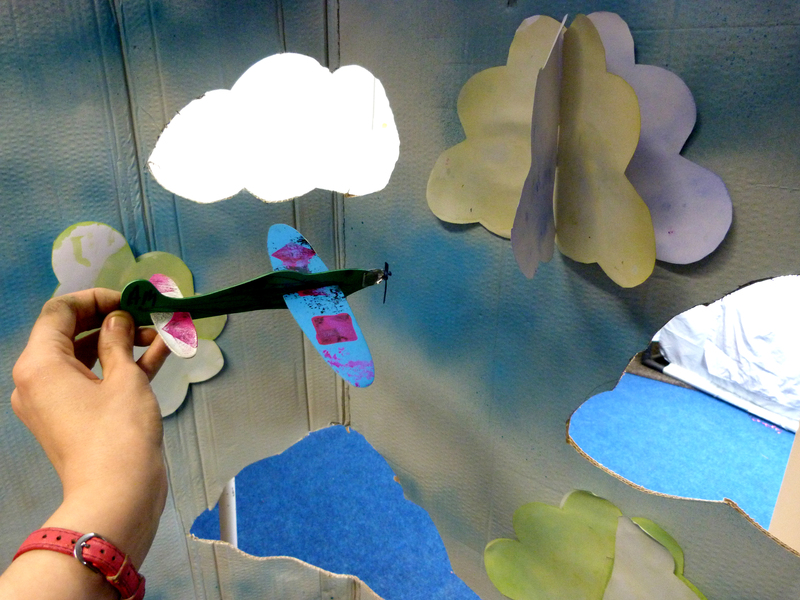 We had lots of fun playing with the planes and trying to get them through the cloud shaped holes. 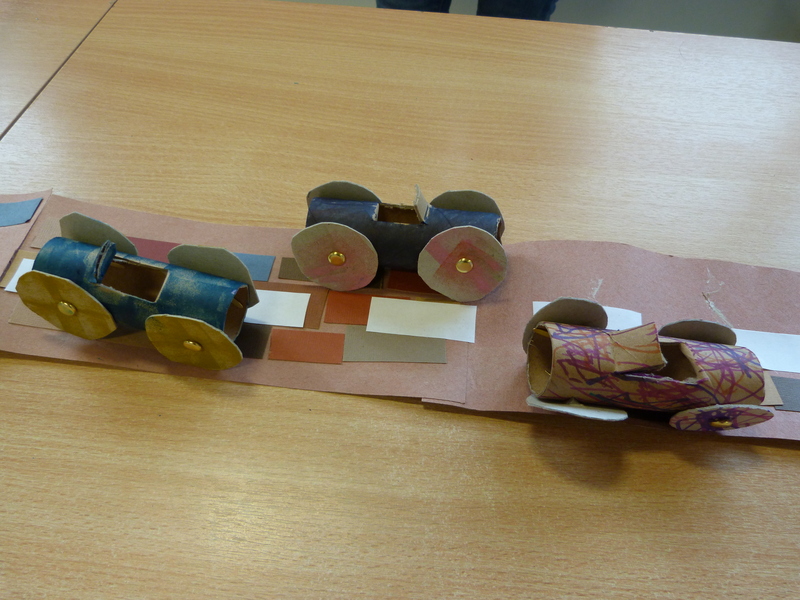 The children enjoyed the fact that they made their own game.